Item #MS-332: Pyrite crystals grow in an isometric configuration, predominately in cubes, with distinctive striations visible. 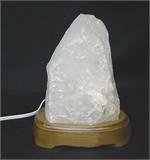 The finest quality specimens display large, individual crystals. Specimen weight range is between 50-70 Gms. Item #MS-333: Peruvian Pyrite specimen of 80-109 Gms. Pyrite crystals grow in an isometric configuration, predominately in cubes, with distinctive striations visible. 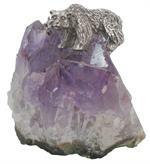 The finest quality specimens display large, individual crystals. Item #MS-334: Peruvian Pyrite specimen of 110-129 Gms. Pyrite crystals grow in an isometric configuration, predominately in cubes, with distinctive striations visible. The finest quality specimens display large, individual crystals. Item #MS-335: Peruvian Pyrite specimen of 130-149 Gms. Pyrite crystals grow in an isometric configuration, predominately in cubes, with distinctive striations visible. 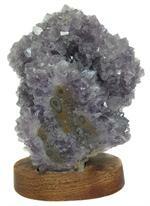 The finest quality specimens display large, individual crystals. Item #MS-336: Peruvian Pyrite specimen of 150-189 Gms. Pyrite crystals grow in an isometric configuration, predominately in cubes, with distinctive striations visible. 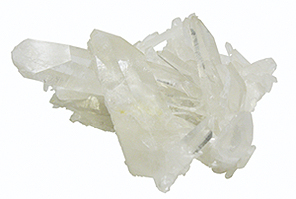 The finest quality specimens display large, individual crystals. Item #MS-337: Peruvian Pyrite specimen of 190-220 Gms. Pyrite crystals grow in an isometric configuration, predominately in cubes, with distinctive striations visible. The finest quality specimens display large, individual crystals. 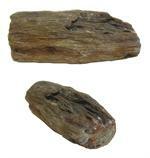 Item #MS-555: Peruvian Pyrite specimen of 225-255 Gms. Pyrite crystals grow in an isometric configuration, predominately in cubes, with distinctive striations visible. The finest quality specimens display large, individual crystals. Item #MS-901: Peruvian Pyrite specimen. 1" - 1.5"
Item #PWT-AM-DR-8: Approx. 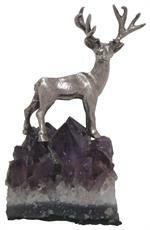 2.25" pewter deer on 1" or larger Amethyst crystals. Item #PWT-DNO-QTZ-8: Approx. 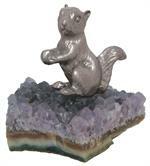 .5" pewter dinosaur on 1" or larger Quartz specimen. Item #PWT-AM-HRS-8: Approx. 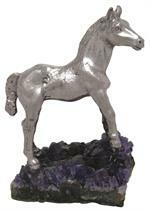 2" pewter horse on 1" or larger Amethyst crystals. Item #PWT-TKY-AM-8: Approx. 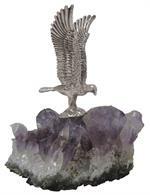 1" pewter turkey on 1" or larger Amethyst crystals. 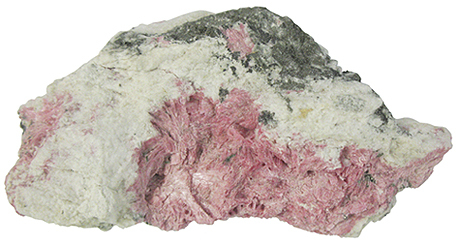 Item #AM-PMN-939: Manganocalcite specimen from Pachapacqui, Peru. Approximately 3"-3.25" long. Item #AM-PT-QTZ-45: Approx. 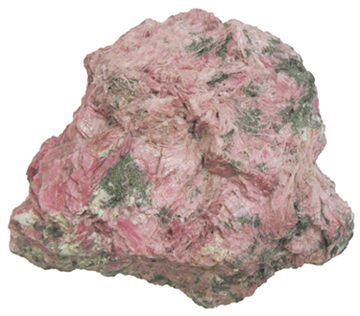 3"-4.5" Pink Tourmaline in Quartz (Minas Gerais, Brazil). Item #PT-QTZ-PS-10: Approx. 1.5"-2.25" Pink Tourmaline in Quartz polished specimen (Minas Gerais, Brazil). Item #PT-QTZ-PS-20: Approx. 1.75"-2.5" Pink Tourmaline in Quartz polished specimen (Minas Gerais, Brazil). Item #PT-QTZ-PS-25: Approx. 2.25"-3.5" Pink Tourmaline in Quartz polished specimen (Minas Gerais, Brazil). Item #AM-PTQZ-25: Approx. 3" Pink Tourmaline in Quartz (Minas Gerais, Brazil). Item #MS-251: 7"x4.5"; 2.5 lbs. ; Polished Azurite And Malachite; Green and Cobalt Blue. Item #MS-1038: Approx. 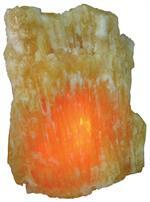 3.5"x3.5"x13" polished Quartz point of 8.25 lbs. on .5" wooden base. Item #MS-1035: Approx. 11.5"x6"x6.25" Pyrite specimen of 22.30 lbs. Item #PY-LB-5: Pyrite "Fools Gold" specimens of 1 lb. TW. Item #PY-SN-18: Approx. 2.75”-3” Pyrite Sun (Illinois, USA). Shapes vary. Item #MS-1104: Approx. 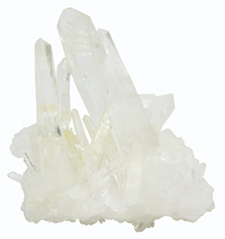 3.5"x7"x6" Quartz Crystal Cluster. 4 lbs.